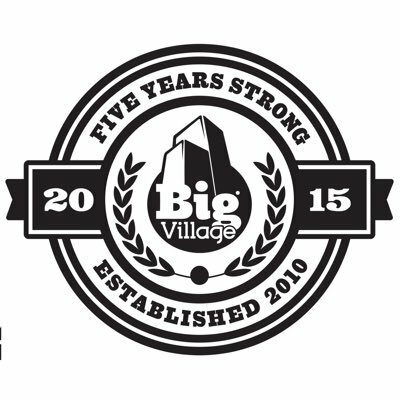 P.Smurf is a celebrated hiphop MC and co-founder/manager of Big Village Records. His charismatic style of socially and politically charged lyrics, have earned him a loyal fanbase throughout the country. Unify combines vocalists hailing from Australia, the UK, America, Africa and Fiji. An explosive combination of politically charged lyrics, backed with a unrelenting reggae rhythm. Produced by Down Under beats & Must Volkoff. Joel Rapaport, hip hop MC & co-founder and managing director of Big Village Records. ‘Don’t Sweat It’ is the 4th single from forthcoming album Village Idiot, out November 2017. Don't Sweat It is produced & co written by Australian Hip hop icon, Joelistics (TZU). The song is about trying to move on after a break up, and finding yourself again. Sydney based MC renowned for his work with Daily Meds, Reverse Polarities, Sketch The Rhyme and Big Village Records. Forthcoming debut solo album ‘Playing The Blues’ due out April 2018. Lock Outlaws, is an up-beat, latin influenced, bass heavy Hip Hop banger, produced by Platterpush & Codeks, featuring 2 x NSW DMC champion DJ Cost. Taking a shot at the draconian type laws put in place to cripple Sydneys night life, while also calling upon the people for their help! Suburban Dark is a duo hell-bent on keeping things straight and tough. Their analog-synthesizer infused sound is deep, minimal and razor sharp, intended to be played loud. Music not to be messed with, Suburban Dark is a duo hell-bent on keeping things straight and tough. Their tracks range from spine-chilling noise to bass-assaulting bangers. Sydney-based production duo Suburban Dark drop new single ‘ Remember Your Code’ : a curt instrumental track and the first taste of their sophomore LP, Death From Below. The sinister ‘ Remember Your Code’ fuses found sounds and hypnotic samples to create infectious and heavy bass music. In “Lost in the Frequency”, Rapaport’s anxiety-drenched lyrics, combined with producer Kid Fiction’s foreboding footwork drums and moody synths, explore the subterranean and the soulful. “Lost in the Frequency” describes the relentless and overwhelming nature of anxiety, detailing the rapper’s personal stress and state of mind. After a decade honing their skills in Sydney’s warehouse scene, Beastside are primed for centre stage with a sound inspired by UK grime and future beats. Setting the tone for the forthcoming album, “Charged Up” showcases each MC’ s distinct style and their command of the 140bpm tempo, in a relentless series of tight verses. Co-founder of Big Village Records, P.Smurf is a seasoned MC whose socially and politically charged lyrics, delivered with charisma, sharp wit have earned him a loyal fanbase. New single ‘Abalone’ combines P.Smurf’s deft punchlines and intricate lyricism with Melbourne producer Must Volkoff’s boom bap drums and dusty samples. Fusing smooth, unyielding flows with a dark, brooding melody, ‘Abalone’ sets the mood for P.Smurf’s debut solo album, dropping later in 2017 Playing the Blues. Rapaport is an MC, guitarist and producer; co-founder and managing director of Big Village Records; creator & director of hip hop theatre show, ‘Sketch The Rhyme’. “FAM” chronicles Rapaport’s stress and struggles as an artist and label manager, while highlighting the importance of friendship and integrity. “FAM” sees the two current owners and managers of Big Village weave music business tales with humour and light-hearted banter, matching the intensity of Arctic’s slamming beat. Rapaport is an MC and guitarist who makes rap music inspired by Grime, UK Bass, Soul and African beats and is co founder and label manager of Big Village Records. Rapaport rises from the ashes with his impeccable cadence and intense delivery, taking us on the journey of the ongoing struggle to be happy with what you have instead of always looking for something more. The track features Billie McCarthy on Vocals, and was produced by Ribongia. Omar Musa, a Malaysian-Australian from Queanbeyan, is one of Australia’s most important young voices. In his writing and music, he confronts the dark realities of Australian history and culture. Soul Benefits are 26th Letter, Storme and Young Supreme, a trio of NZ origin, with an average age of 22 who began working together in 2010, in Sydney’s Western Suburbs. ’Rebel Music’ is raw, head nodder featuring NZ veteran MC, SMV a member of the groups Machete District, The Villains, 4 Corners and the Universal Zulu Nation. ‘Rebel Music’ expresses SB's no holds barred approach in life, never letting anyone influence who they are as individuals. ‘Step Up’ channels the swing of golden era boom bap with the lush harmonies of 17 yr old singer, Angel, and unapologetically positive verses calling on peeps to get out, do what they love and chase their dreams. Hip Hop/Horn/producer trio from Sydney. Currently on the road for the Africa/Australia Tour. 'They Shine For You' which features on their latest album ‘ON’ (Big Village Records) is no doubt a special song for the trio as it shows a whole new side to the boys who are renowned for their upbeat tunes, catchy beats and regular inclusion of brass instruments. Track features Indigenous vocalist/songwriter Radical Son. True Vibenation are a trio hailing from Sydney, and have developed a solid reputation for an electric live show and sound,comfortable alongside a live band and in an electronic setting. 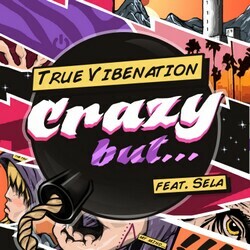 Crazy But... (feat.Sela) is an explosive soulful, electronic track, based on a quote from legendary filmmaker Akira Kurosawa 'In a mad world, only the mad are sane' so what does that make you?. With rich synths, hard hitting vocals and a touch of horns, True Vibenation deliver a musical punch. Daily Meds are an energetic and eclectic hip hop quartet from Sydney, a staple of the Big Village collective; they blend politically charged, rapid flow lyricism with large bass-driven beats. A politically charged, dubstep influenced banger.